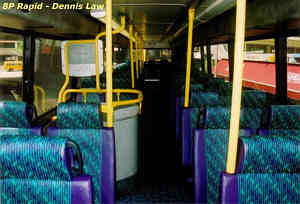 refurbished interior in NWFB's style. Similar treatment has also been applied to Citybus Olympians Nos. 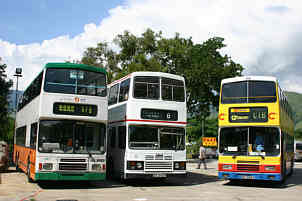 462, 463, 468, plus Dennis Dragon 855. 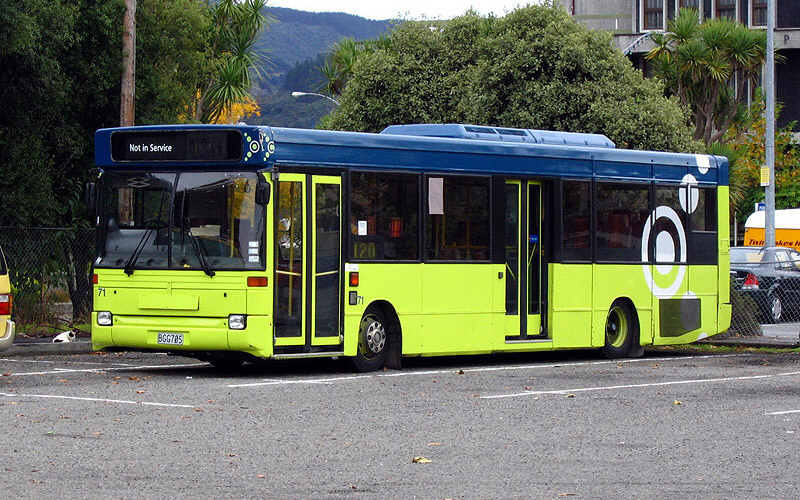 It is not known whether it is for a trial, but New World First Bus have painted the rear engine cover on several buses green, as opposed to the usual white. 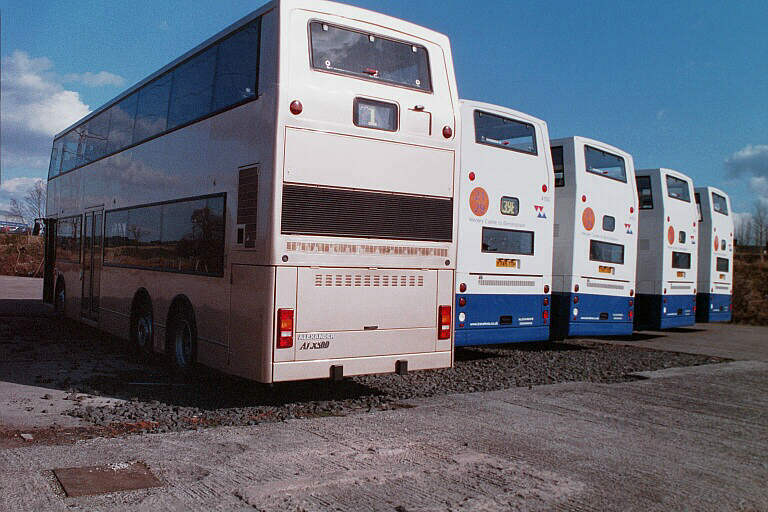 Pictured above is Neoplan Centroliner 6004 in 'before' and 'after' shots. 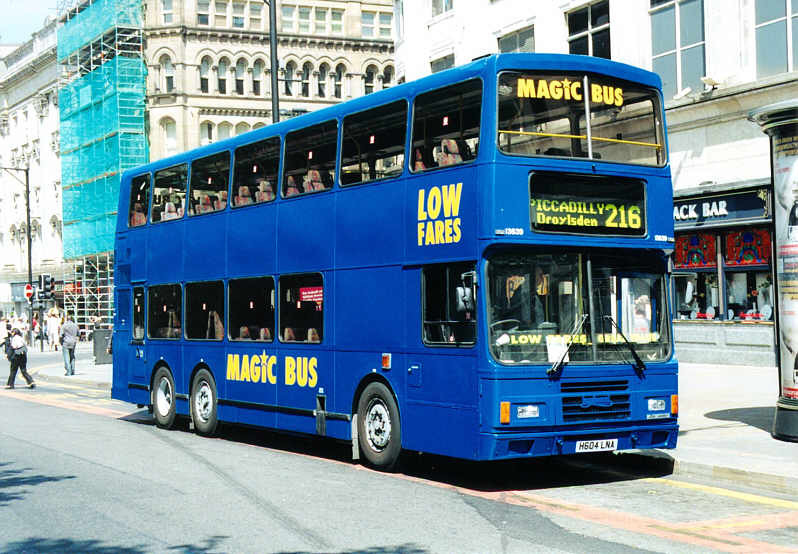 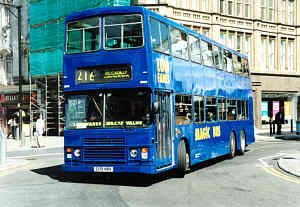 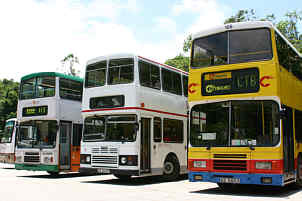 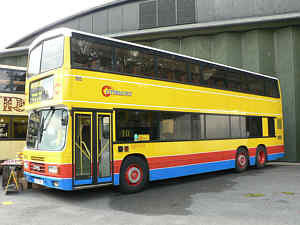 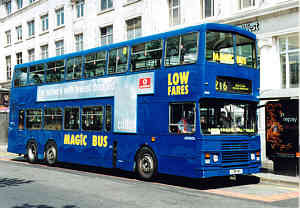 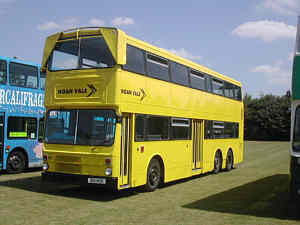 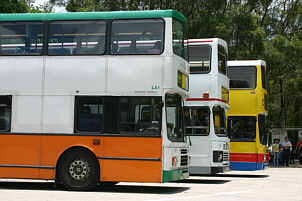 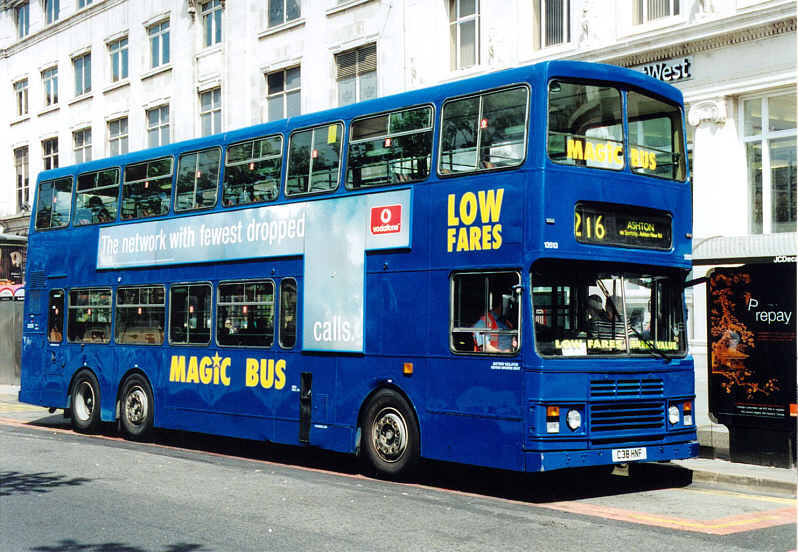 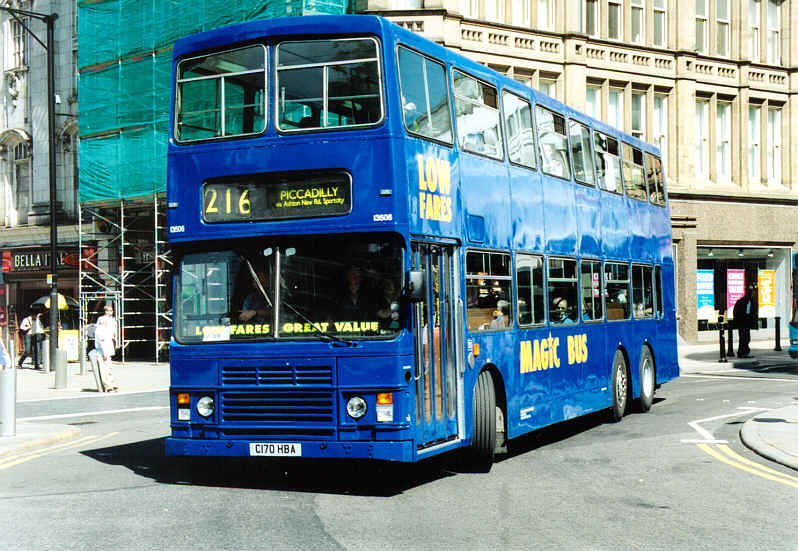 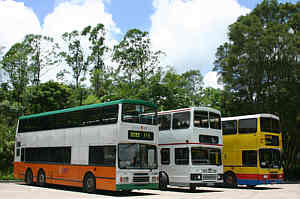 Magic Bus 13639 is former Citybus Olympian fleet no 112. 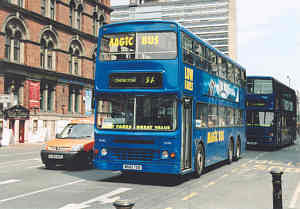 Magic Bus Dennis Dragon/Duple Metsec 15182, an ex-Kenyan (South Africa) example. 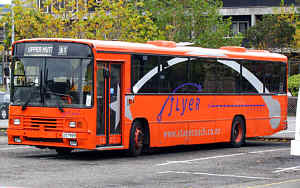 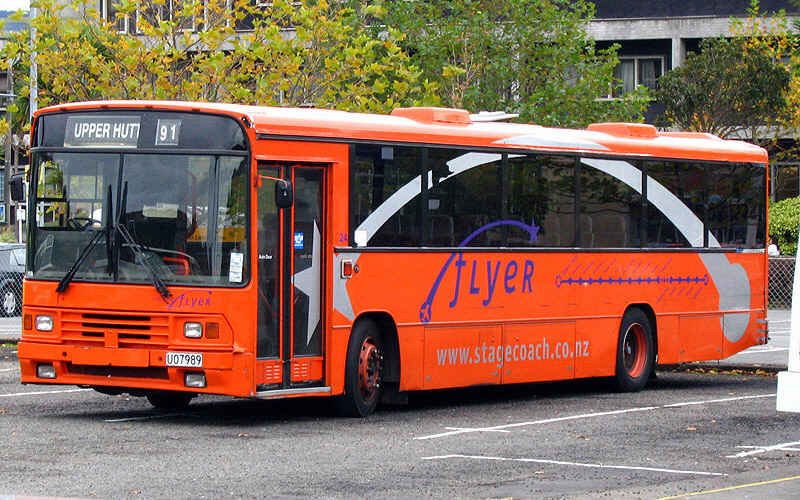 Pictured above is ex-Citybus Volvo B6LE/Plaxton Pointer, with the centre door coming from a scrapped KMB S3BL class Leyland Olympian, operating by Stagecoach City Line in Hutt Valley, North of Wellington. 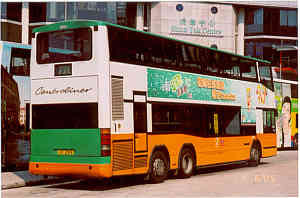 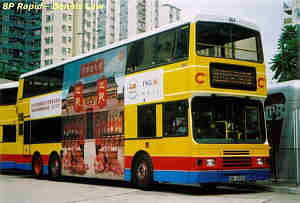 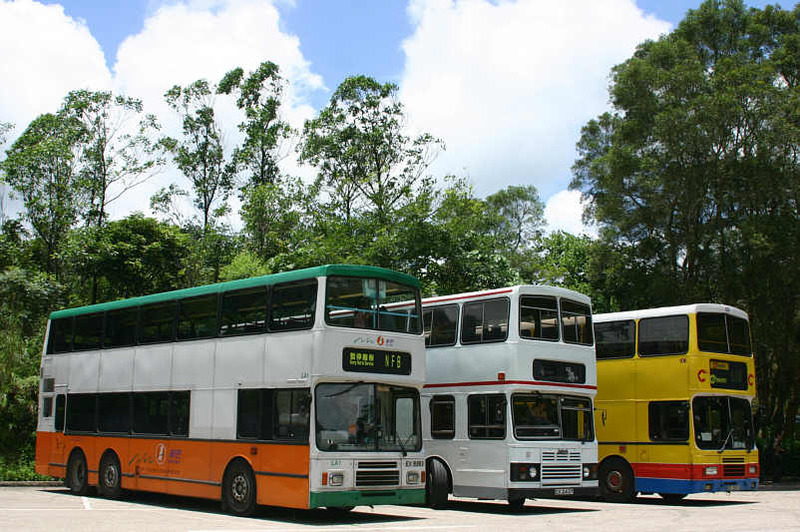 Above is a Volvo B10M/Alexander PS, one of the five transferred to Wellington after Stagecoach ceased its non-franchise bus services between Sha Tin and Central Macau Ferry at the end of March 1996.
be retired Kowloon Motor Bus AL1 and Citybus 106. 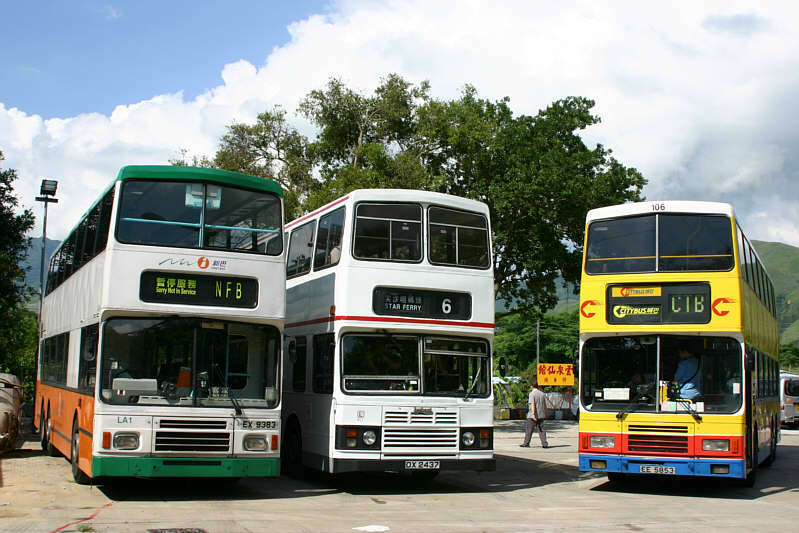 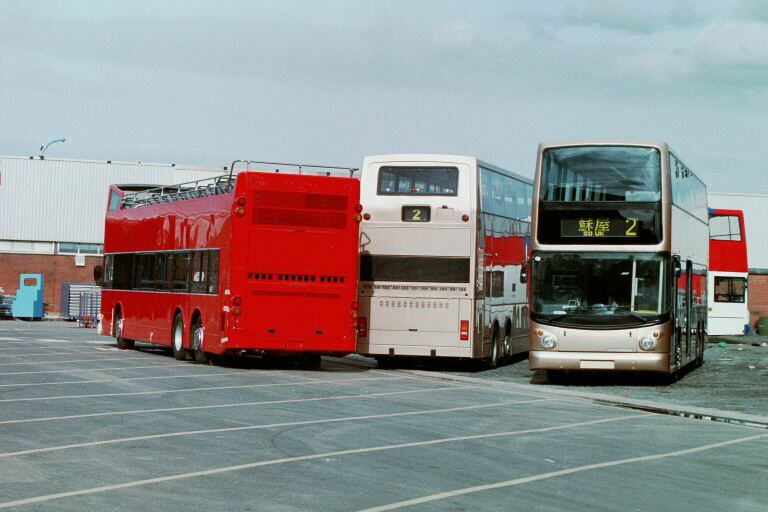 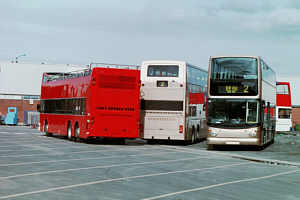 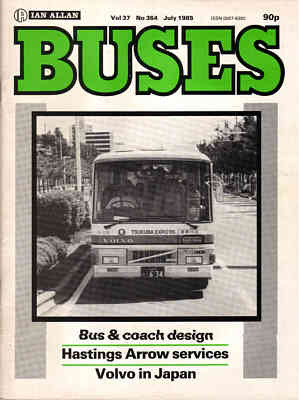 Two items of interest to Hong Kong bus enthusiasts appeared in the July 1985 issue of Buses magazine, both of which included black and white photographs of the subject vehicles. 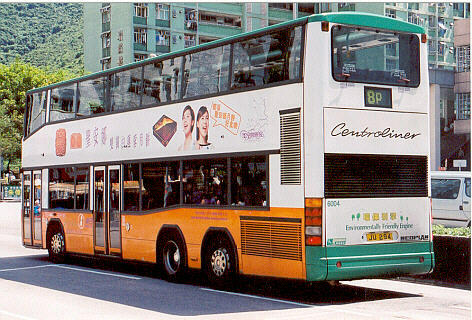 The first is a half-page photo of KMB's Volvo Citybus, fleet no. 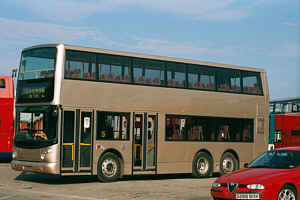 VMD1, with Alexander 'R' type bodywork. 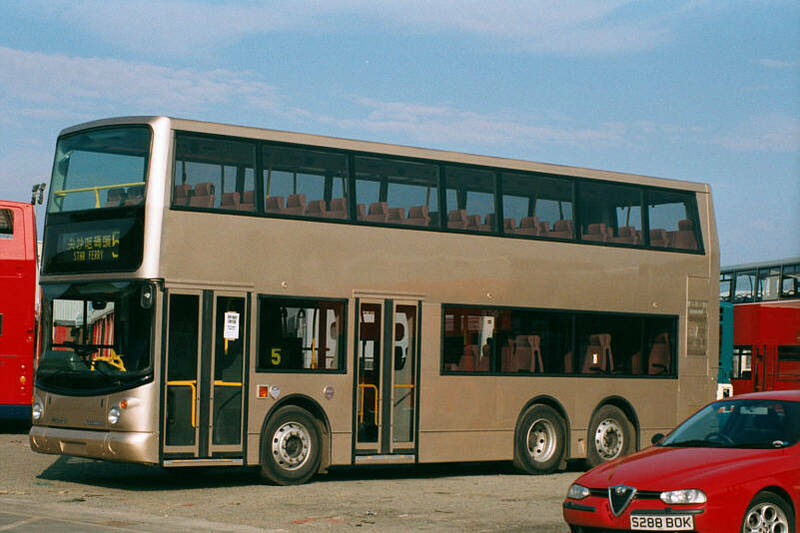 The second article gives details of three new three-axle Leyland Olympian coaches for Citybus, for use on a service to the Shenzen Special Economic Zone in Guandong Province, China and featuring the latest style of ECW bodywork. 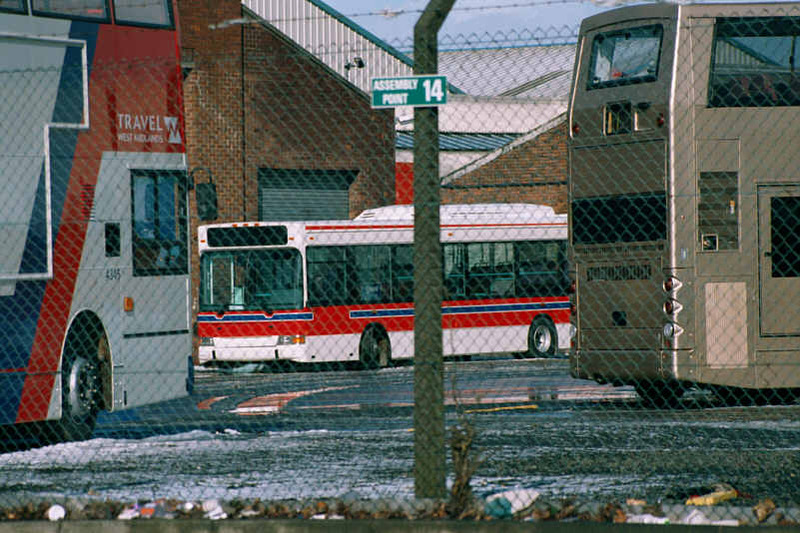 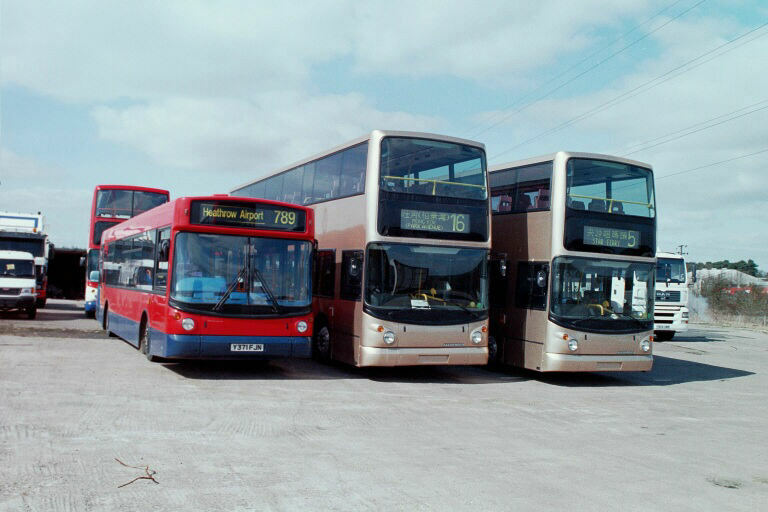 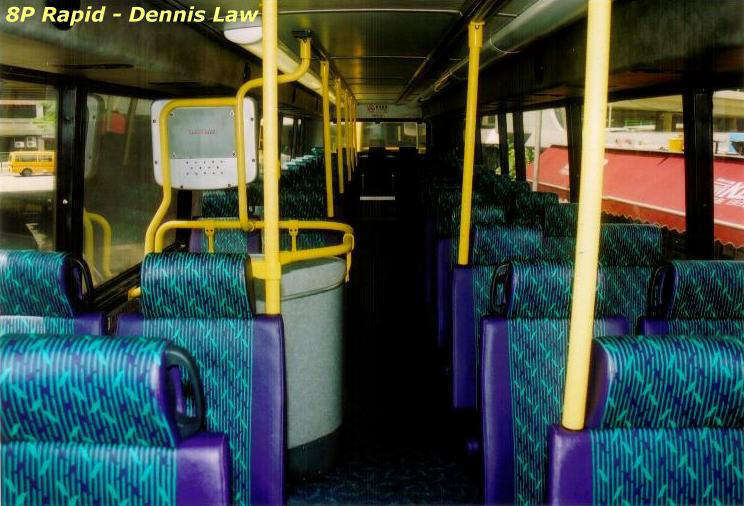 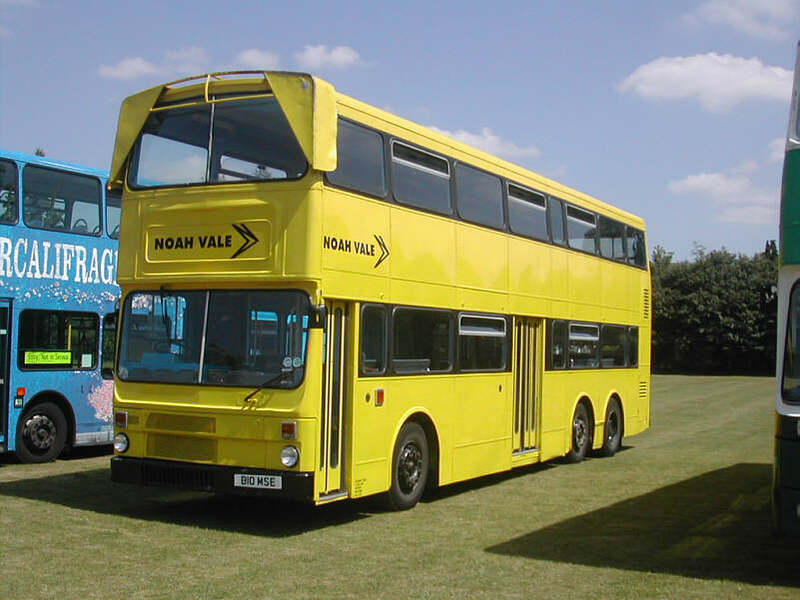 Pictured is Citybus 102, formerly C51, which, thanks to Dave Rogers, is now in preservation in the UK. As an aside, and for anyone interested, 102's sister vehicle, Citybus 105, also owned by Dave Rogers, is scheduled to make an appearance at the Alton Running Day and Bus Rally on Sunday. 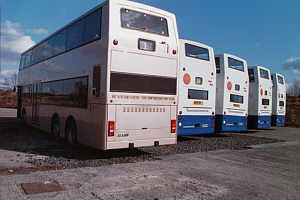 Dave's website, featuring these two vehicles, can be found at www.daves-ctb-olympians.co.uk. 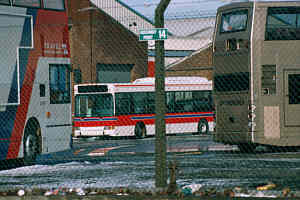 bus plant in Scotland and a couple taken during the delivery process. 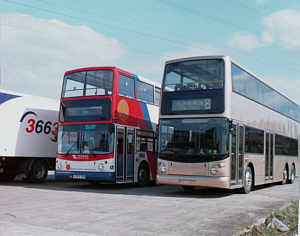 Y371 JOV and two KMB Super Olympians awaiting delivery. Y753 TOH of West Midlands and a KMB Super Olympian at a storage yard in the course of delivery to Coventry and Southampton respectively.